Don't worry if you can't get to CERN for Researchers' Night, you can follow the event on Facebook Live from 8 p.m. to 11 p.m., and ask all your questions. Let CERN researchers be your online guides of the night! 20h:00-20:20 - Discover the brand new Esplanade des Particules, inaugurated the same day. 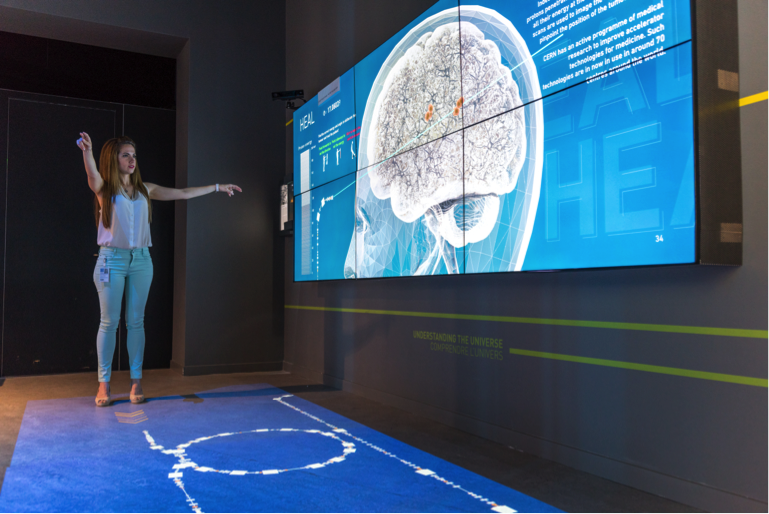 Then head to Microcosm permanent exhibition where guides will show you CERN knowledge daily life applications: hospitals, data centers, industry and even museums! Ask your questions and get some live answers from CERN specialists! 20:25-20:45 - Still at the Microcosm exhibition, our specialists will tell you about the medical applications of particle physics as developed at CERN. You will discover through the "Heal Game", how hadron therapy works to treat cancer. 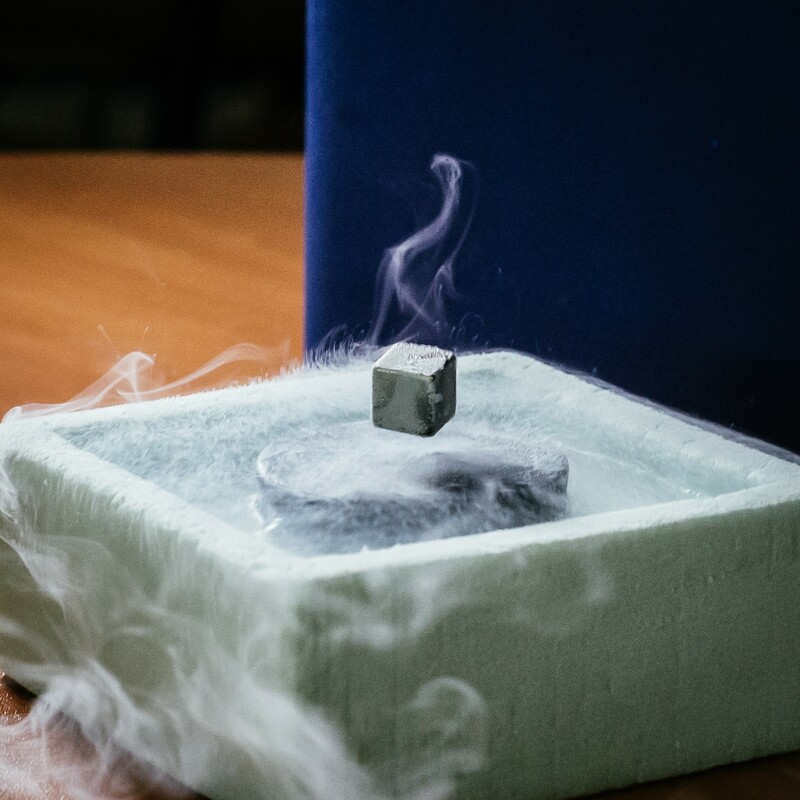 20:50-21:20 - Next stop, "Fun with physics" show, where matter is explored in all its states thanks to the surprising properties of liquid nitrogen. Then go to CERN Reception where you will discover "Particle Identities", a quiz to find out which particle best fits your personality! A golden opportunity to learn more about elementary particles! 21:30-21:45 - Star of the evening, the director of the latest feature film on CERN, Anna de Manincor, will answer your questions about "Almost Nothing: CERN experimental city". She will tell us all about the idea behind the film, about her views on researchers and about her perception of CERN. 21:50-22:00 - Then comes the moment for the famous Hubert Reeves to tell us about his view on researchers in an interview filmed during his very recent visit to CERN. 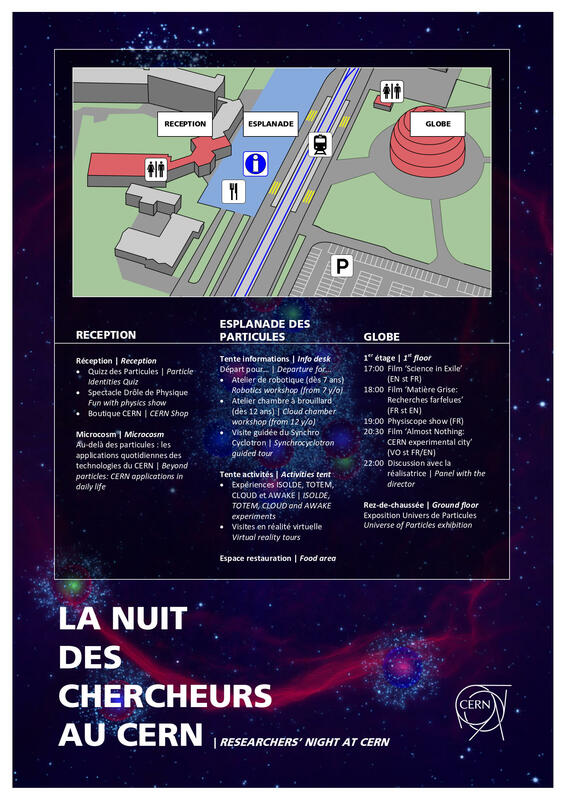 Finally, Researchers' Night visitors will become our stars, while trying to answer a quiz about CERN activities! During the intervals between the clips, discover the video serie "I love Physics" and find out why CERN researchers love their job! Even Fabiola Gianotti, Director of the laboratory, will participate in the last clip of the evening serie! Mostly in English, small parts in French.